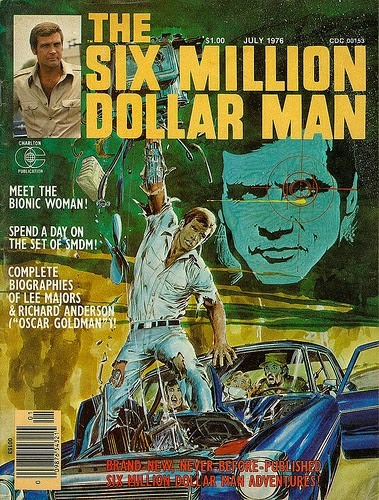 ...on the 325 Million Dollar Man! You can make a pretty solid case for Giancarlo Stanton as the number one pick in a fantasy draft. He is the most reliable source of power going into the 2015 season and the other possibilities are all flawed. Miguel Cabrera is coming off serious ankle surgery. Mike Trout may be the MVP but he was not significantly better than Stanton and his rising strikeout rate worries me. Paul Goldschmidt is coming off an injury shortened season. I love McCutchen but I'll take Stanton's superior power over Cutch's overall stats. Adam Jones isn't better. In Seattle, Cano does not have the power I want in the first overall pick. I don't think I'll take Jose Altuve or Michael Brantley with the number one pick. I doubt Victor Martinez duplicates his 2014 season next year and a DH makes a poor choice at number one. I suppose you could make a case for Kershaw but offense is in too much of a decline to take a pitcher with the first pick. You have to wonder how happy Jose Abreu is to have the team sign another first baseman. Obviously one of them will be the designated hitter. LaRoche has the greater defensive reputation but is clearly in decline and at 35-years old is the more appropriate choice for DH duties. At 29 I doubt Abreu is ready to quite playing the field. In any case I expect LaRoche to put up some good numbers playing in US Cellular Field or whatever they call the White Sox park these days. You can expect LaRoche's power numbers to be maximized, though that did not happen for the last power hitter the White Sox signed away from the Nationals. The LaRoche move comes just a days after signing left-hander Zach Duke to a three-year contract. Duke has re-invented himself as a relief pitcher and was very good for the Milwaukee Brewers during the 2014 season. He is not just a lefty specialist. His changes to both his mechanics and pitch mix dramatically improved his strikeout rate. That in additional to the boost usually provided to a pitcher moving from the rotation to the bullpen has made him a new man. The White Sox are also looking at Melky Cabrera. They can certainly use the upgrade in left field and he fits near the top of the order in front of Abreu and LaRoche most likely.If they can pull that off and the young guys continue to develop in the right direction, the White Sox could be contenders this season. The Braves tried to sign Heyward to a long term contract and were unsuccessful last year. Apparently his price was high enough that they decided to part with him rather than risk receiving just a draft pick for him. Shelby Miller has ace potential and despite his poor season, showed signs of rebounding in his last few starts. The Braves have always been better at developing pitchers than they are position players and I think they are likely to get the best of Shelby Miller. The Braves have been weird with their hitting philosophies and the constant rotation of hitting coaches probably did not help. They seem to stress contact over all else and while I can see the value in that it is not always playing to the strength of a particular player. Heyward's contact rate has seen a steady rise even as his power has declined. I'm betting the Cardinals are the beneficiaries of Heyward putting it all together and regaining some of that lost power. I am still confused about this deal. LaStella seemed like the cheap, solid defense, top of the order type that the Braves needed while they paid off the Dan Uggla and B.J. Upton blunders. Are they planning to jump Jose Peraza to the majors? The Braves have successfully jumped players like this in the past. Or maybe they are just counting on future trades filling their new hole at second base. I do like Phil Gosselin more than most and can see him getting an opportunity to start the season at second base. After trading Jordan Walden the re-acquisition of Arodys Vizcaino makes some sense. Vizcaino has been plagued by injuries and ineffectiveness but still has the potential to be a top relief ace. The trade did bring them more cap room in the International Prospect Market but that knowledge is of little use to fantasy owners but helpful in the re-building effort. The most interesting part of the deal is what this means for the Cubs who already seemed to have an middle infield surplus.There has been tons of speculation that this is the precursor of the Cubs moving one of their big three shortstops - Starlin Castro, Javier Baez or Addison Russell. But ignoring that possibility the LaStella trade makes some sense for the Cubs. At worst he becomes a bench player with the contact and top of the order skills that some of the bigger prospects do not have. He could also buy the Cubs a bit more time at second base. Baez struggled to make adjustments in the majors and could use some more time in the minor leagues to work on his defense and cutting down on the strikeouts. The Twins still need to sign Yang but they seem to have a reasonable chance of getting that done. Yang is viewed as a solid mid-rotation starter but has the potential to be a bit better than that. If he pitches up to his potential he is the sort of player that can be the ace of a small market team.He is the type of pitcher that still makes for a decent sleeper. There has not been much hype and the Twins won the bidding so the scrutiny on the player is likely to be minimal. I understand the skepticism that a lot of A's fans have been expressing over this signing and I also understand why the Royals fans were not very disappointed. However, I believe that this will ultimately be a solid investment by the Athletics. First, the value of even league average offense is way up in real leagues as it is in fantasy. Butler does not have to repeat his best seasons to get there and I think his power will bounce back a bit. The Royals were constantljjnuhy7uy y messing with Butler. Trying to get him to hit for more power and getting mixed messages from their He did curb his ground ball trend a bit this year it just did not translate into his HR/FB rate. Also, despite their late season slump and the Cespedes trade, the Athletics have a much better lineup and Butler should benefit in RBI at least and possibly even in runs scored (assuming he doesn't try stealing many bases). For the small investment it will take fantasy owners, Butler should be worth the risk. It was not the trade hot stove junkies have been dying to see but it was interesting. The Rays sent reliever Joel Peralta and minor-leaguer Adam Liberatore to Los Angeles for rookie Jose Dominguez and minor-league right-hander Greg Harris. For the Dodgers this is about lengthening their bullpen. Peralta is a solid option for the sixth and seventh innings. Liberatore gets lots of strikeouts and I am certain President Andrew Friedman knows exactly what he is getting. The Rays meanwhile are making room for younger and cheaper players. The Joel Peralta era ends on a bittersweet note. The franchise leader in pitcher appearances had his club option picked up earlier this month but will pitch for a new team (old boss) next season. Even at his advanced age, the right-hander is an above-average reliever despite claims otherwise. He continues to post strikeouts in bunches, miss bats his splitter and controlled the strike zone much better last season. Limited natural ability lends to a thin margin for error. When he is off, he can have stretches of ineffectiveness; however, the overall package – including clubhouse leadership – is a net positive. The fact that the Rays were able to flip his 39-year-old arm for a pair of young pitchers is a testament to his ability. It also means his impact on the club could linger long past his playing days. The Rays Lose Another Cog to the Twins: Pitching Coach Neil Allen. Victor Martinez is a good hitter and is likely to remain a good hitter for the length of his four-year $68 million deal. The question that some will ask is how likely is Martinez to maintain his 2014 power numbers. Martinez has typically been a high-average hitter that utilizes the entire field in his approach. In 2014 he still hit for average but was more often pulling the ball which led to his increased power. If he keeps up that approach maybe the power will stick around. Even if Martin regresses back to his career levels with the bat I'll be giving an uptick to the Blue Jays pitching staff based on just his defense and pitch framing skills.That said I expect Martin to be a solid option for fantasy owners. If nothing else he usually hits for a non-disastrous batting average (even easier as the league batting average continues to fall) and some power. His former speed on the bases is evaporating but not entirely gone. He may toss in a few stolen bases to help pad your stats. "He has the ability to make every pitcher feel like he has an opportunity to be the best he's ever been that day on the mound … He brings an edge in the clubhouse and an edge when guys are in there lifting [weights]. Three hours before the game, he's dragging out guys who've never kicked a soccer ball in their life. Now they're out there kicking a ball. He's like the Pied Piper." Liz just signed a major league deal for two years and $3 million. He supposedly had quite a few offers from teams in MLB and Japan. The Pirates matched his best offer and he chose them over moving to Japan. Liz was ranked as a top 100 prospect by Baseball America while coming up with the Orioles. He has always had fantastic stuff but strugles with his command. He re-invented himself in the KBO to the extent that the Blue Jays brought him back to MLB on a minor league deal and he pitched ok, if not well enough to warrant a call-up to the majors. The Pirates pitching gurus - Jim Benedict and Ray Searage, have been very successful re-building the careers of pitchers the last few years. Liz has power stuff (he can hit 100mph) and has a killer curve. I'd buy him for a buck.